Freddie was born and raised in Statesville, NC. He has been in the fitness industry for over 30 years. 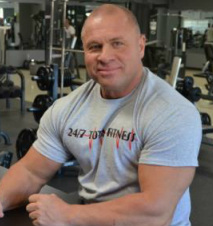 He has owned and operated multiple fitness facilities since 1992. Fitness is Freddie's passion in life and he wants to make a difference in yours! Everyone joins a gym for one reason or another. We can make a positive change in your life...let us show you how!